Warmer weather encourages us to spend more time on the deck, porch, or patio. 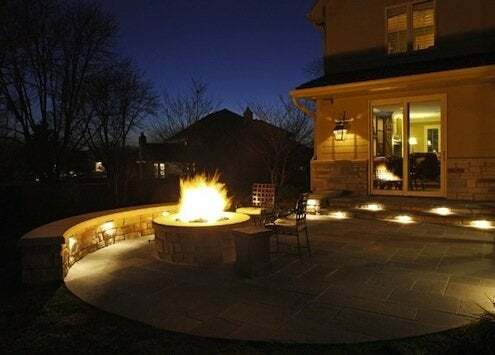 Of course, lighting can extend outdoor living well into the evening, but before you light up the night, consider the advocations of The International Dark Sky Association, a campaign to reduce light pollution. As early as the 1980s, astronomers had noticed that city lights were making stars less and less visible in the night sky. Apart from that star-gazing conundrum, there is also mounting evidence to suggest increased light pollution even disrupts ecosystems and human circadian rhythms. 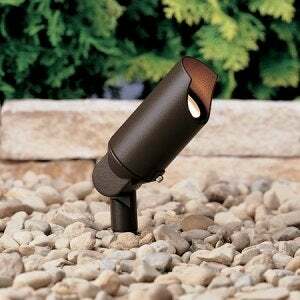 Dark Sky proponents encourage the use of full-cutoff outdoor lighting fixtures, which, by casting light downward, enable you to see more with less light. Options that leak little to no light are increasingly prevalent on the market. Industry leader Kichler, for example, offers a line of fixtures that focuses light exactly where you need it—nowhere else. Though not required by law, using dark sky-compliant fixtures is definitely in the spirit of “Friendly Neighbor” ordinances and the recently approved Model Lighting Ordinance. Both help guide communities toward responsible outdoor lighting. 1. Use Your Light Switch. Though many people leave on the porch light for an added sense of security, you can prevent light pollution—and save money, too—by simply turning the lights off when not in use. 2. Timers. Install timers to turn your fixtures off automatically at a set time. Again, doing so means as much for energy savings as it does for preserving a light pollution-free environment. 3. Use Motion Sensors. Even more convenient than switches or timers are motion sensors. Imagine lights flicking on as you walk down your garden path, only to go off again once you’ve exited the area—handy when your hands are full! 4. Use Low-Glare Fixtures. The International Dark Sky Association gives its stamp of approval to fixtures that meet its low-glare and efficiency criteria. There are also companies like Starry Night Lights, which specialize in low-pollution lighting. 5. Replace your Bulbs. LED and CFL lighting are more energy efficient in general, and when paired with dark sky-compliant design, they can reduce the total number of lumens emitted into the night sky. Since LEDs provide more directed light, they require fewer lumens than other bulb types that might require reflectors or lenses to do the same. Using more directed light in the places you really need it will allow you to use less light overall. Less light overall means you might see a few more shooting stars while you’re out enjoying that patio of yours this summer. Don’t forget to make a wish!